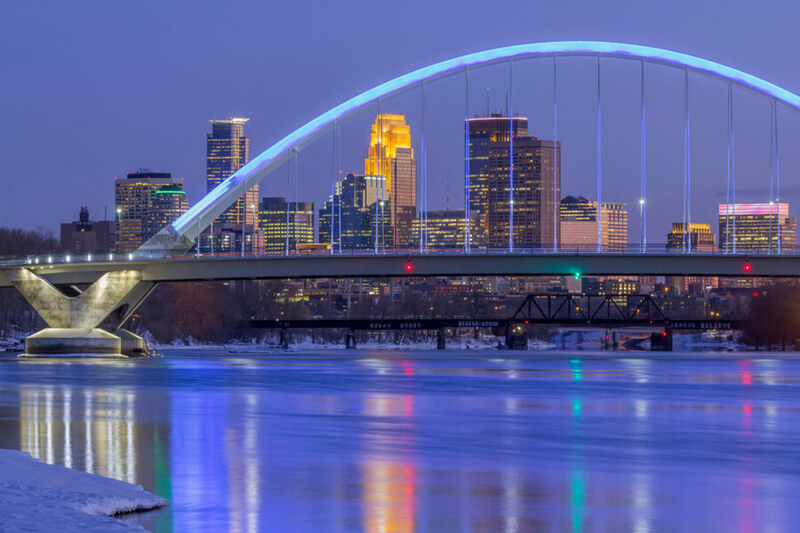 Situated in one of the twin cities of Minnesota, Health Recovery Center is the most established rehabilitation and mental health center in Minneapolis. Founded in 1981 by Dr. Joan Matthews-Larson, Health Recovery Center is the first of its kind, providing treatment that is focused on the patient’s physiology more so than psychology. At their establishment, they treat addiction as a physical disease which entails a physical treatment–a philosophy that has proven to be effective for many years. Due to their reputation in the US as one of the best treatment centers for addiction, Health Recovery Center accepts patients from all around the world. Patients that come from out of town are given the option to rent an apartment near the treatment center. These apartments are fully furnished, near scenic views of the city, and come with all the comforts like amenities, cable, air conditioning, and Internet service among other necessities. For $2,800, the patient can enjoy the duration of his or her treatment while living as normally as they can. Unlike most rehabilitation centers that focus on a patient’s psychological issues as the center and basis of treatment, Health Recovery Center comes with a different approach. According to Dr. Abraham Hoffer, the Father of Orthomolecular Medicine, the Health Recovery Center is the first in the world to use this type of medicine for the treatment of substance abuse. Treatment at Health Recovery Center starts with multiple lab tests to find out which biochemical imbalances in the body makes the patient addicted. From then on, HRC combines holistic health and orthomolecular medicine in order to treat addiction both in the psychological and physiological context. Health Recovery Center uses unique ways of treatment, which include complete detoxing sessions with customized IVs or per orem solutions, medical support with proprietary IVs and shots, biochemical repair based on specific needs, Gentle Cranial Electrical Stimulation, and ecological protocols for the elimination of symptoms caused by toxic substances. The cost of a six-week stay at the Health Recovery Center’s intensive outpatient program is $17,995. The first appointment is free of charge, so anyone can consult with the facility to discuss specific needs and services for free. The program at Health Recovery Center is broken down into specific times/schedules that follow lectures, group meetings, biochemical one on ones, and mental health checkups. After the six week period is over, clients are provided aftercare for 50 hours. Fortunately, many health insurance companies cover the treatment cost at Health Recovery Center. The facility recommends Prosper Healthcare Lending, which is one of the top finance companies in healthcare. Interested clients may consult with the company for a comprehensive loan plan. Some of the loan benefits endorsed by HRC are no prepayment penalties or required collaterals, a fast and easy process, immediate decisions with no effect on credit, and a fully confidential process. The Health Recovery Center is licensed as an Intensive Outpatient Treatment Center by the state of Minnesota. HRC does not keep its patients confined in the center itself. Instead, they provide outside accommodations where patients can stay during treatment. The Health Recovery Center is also recognized as the world’s first center that uses orthomolecular medicine as a way of treating addictions. Today, the Health Recovery Center is nationally recognized as one of the top centers for rehabilitation due to the high success rate. In its thirty years of operation, the center has seen thousands of clients who have successfully got over their addictions for the long term. In the apartments provided to patients at the Health Recovery Center, the amenities include fitness centers which patients can access. There are also natural outdoor amenities that patients can enjoy in their free time, as well as bike trails and groomed walking paths nearby. The Health Recovery Center prides itself in its collection of multi-disciplinary, highly dedicated, and highly experienced staff members. All of the counselors at Health Recovery Center are licensed by the state of Minnesota, Department of Health and Human Services as chemical dependency counselors and/or practitioners. They are also certified by the International Certification and Reciprocity Consortium (ICRC), which is a group that creates the standards for treatment of addiction. Dr. Joan Matthews-Larson has been in the industry for over thirty years. Driven by the death of her son due to suicide, Dr. Joan Matthews-Larson sought more effective ways to treat addiction since the 12 step AA program was apparently not enough for her child. Dr. Joan Matthews-Larson dedicated more work into scientific research to find links between addiction and the physiology of a person. She formulated her own scientific model that combines therapy with biochemical intervention. Dr. Joan Matthews-Larson also holds a doctorate in nutrition and has written a bestselling book entitled Seven Weeks to Sobriety, a book on alcoholic addiction, as well as Depression Free, Naturally. She also engages in lectures and appearances all around the country to spread awareness on addiction and HRC’s philosophies.